You are probably thinking that any statement containing the words “simple ways to improve your baby’s sleep problems” is too good to be true. Nothing about this seems simple. “Simple” may be a slight exaggeration but the tips themselves that I am about to share, really are simple. It’s putting them into practice that may not be as simple. But hopefully I can encourage you to give them a try while shedding light on why, from a developmental standpoint, alleviating sleep problems is so important. Many babies have problems sleeping and according to some experts a baby not sleeping through the night is not actually a problem and is in fact normal. Although I bet 99% of parent’s would agree that their baby waking many times a night is definitely a problem. A newborn (birth to 3 months) will wake several times a night and this is normal, even if you don’t want to think so. As your baby gets older (6 months+), their sleep patterns mature, becoming similar to those of adults. Keep in mind I am not a pediatric sleep consultant. My knowledge in this area comes from my own experiences and the reading I have done in this area as I do strongly believe sleep is as important to a child’s development as is eating and having positive learning experiences. 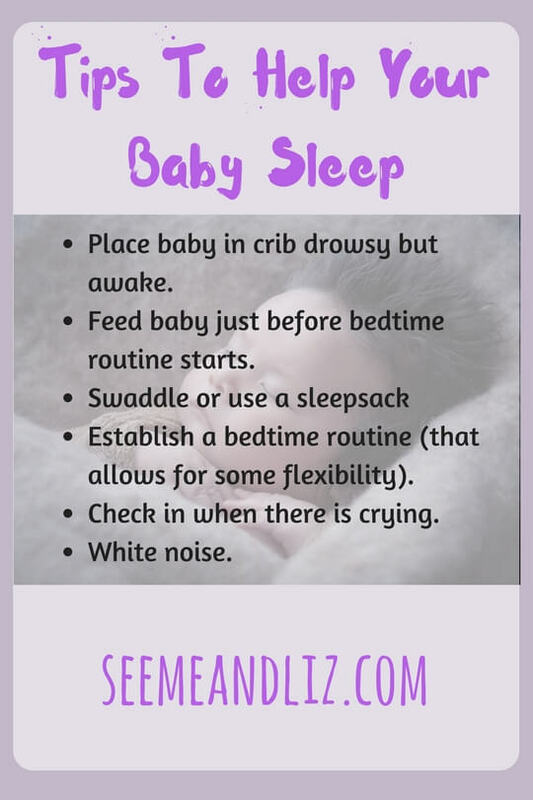 Before we get into the tips to improving your baby’s sleep problems let’s first look at why babies often wake through the night. Babies are little and in order to grow (mentally and physically) they need to eat frequently. Babies and adults both go through different stages of sleep. As adults we don’t really notice this and just keep sleeping. Babies, however, often wake up when a change in cycle occurs. They often startle awake and cry. The more often a parent uses a prop (bottle, breast feeding, soother, rocking/walking to sleep) to help their baby fall asleep and then transfer them to their crib asleep, the harder it will be for the baby to self soothe. They will associate the prop and their parent with falling asleep. This is also true when you regularly pick your baby up at night. An association between waking, crying and being held will be formed. Babies cry for many reasons both during the day and night. It’s just part of being a baby. I am sure having teeth coming in hurts and when something hurts a baby will cry! Teething can happen prior to 6 months of age. Babies sleep cycles are disrupted when they learn something new. 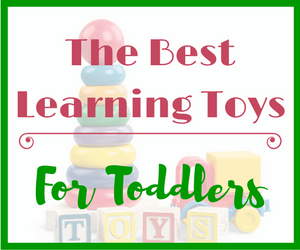 This could be rolling over, crawling, babbling, walking, teething, etc. This disruption is often a culprit of night wakings. 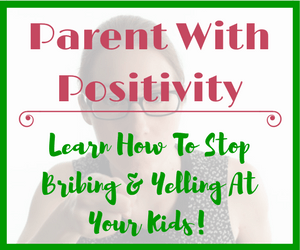 These tips worked for my children. We didn’t really start to set a “sleep routine” until our babies were about 3 months old. Prior to this we just went with things. Try them out and see if they work for you! I found when making sure my baby was sleepy, and close to falling asleep, and then placing her into her crib allowed her to learn to fall asleep on her own. Letting your baby fall asleep in your arms and then placing them somewhere else doesn’t allow them to learn how to fall asleep on their own. However, putting your baby into her crib (or wherever she sleeps) wide awake, will definitely result in lots of crying. This doesn’t need much explaining. I found with my son, feeding him but trying to keep him awake before I placed him in his bed helped him remember that it is Ok to lay in bed awake for a few minutes before falling asleep. I swear by swaddling. This worked for both of my children when they were babies. My daughter accepted it right away and it pretty much instantly calmed her. It took a bit more effort with my son. He seemed to fight being swaddled at first, but we persisted and after about a week, he actually welcomed being swaddled. Newborns have reflexes that are a bit out of control. When an arm flails, it often wakes your sleeping baby. Swaddling prevents a flailing arm or kicking leg from startling your baby awake. Swaddling typically works well between birth and 4 months of age. Once your baby is no longer waking due to out of control reflexes, swaddling may no longer be needed. However some babies will still require either a sleep sack or a sleep suit as primitive reflexes are still present despite the baby no longer wanting (to be) or staying swaddled. If your baby no longer wants to be swaddled but still wakes up due to startle reflexes check out my review of the Baby Merlin Magic Sleep Suit! It really is magical. I believe that some form of a bedtime routine aids in establishing good sleep patterns while eliminating your baby’s sleep problems. This can be started in your baby’s first month. The reason I mention a flexible bedtime routine is because I personally feel that a “set in stone” bedtime routine often ends up being a “prop” just as bottle or breast feeding to sleep can be. Babies need to be given a signal that it is time for bed and time for sleep. In our house, our bedtime routine consisted of, while not necessarily in the same order every night: a book, a bath (not every night), a bottle/breast feeding (this was usually first) and a few cuddles in the rocking chair. We felt that by being flexible with the order of events and skipping things like a bath, helped when we were traveling. When we were staying at a hotel for a night or 2 we didn’t want to bathe our baby (because some hotel showers are pretty gross). We also made sure to keep the bedtime routine to under 30 minutes. The whole point was that our baby would be able to fall asleep quickly and easily without us. I am not going to get into a cry it out vs don’t cry it out debate. 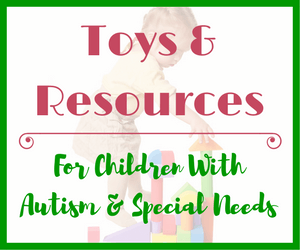 I am going to share what worked with us, and what has worked with other parents I know. I believe babies are crying for a reason. It may be as simple as wanting comfort/reassurance from a parent or just being uncomfortable. Adults have learned ways to deal with discomfort while babies have not. We were lucky with our daughter. She started sleeping in 10-12 hour stretches at 3 months old (I know, some of you want to throw something at me right now). Our son was a different story. He did not “sleep through the night” (by this I mean an 8hr + stretch) until he was 12 months old. However, when he did wake up either my husband or I would go in. We would try to feed him but sometimes that wasn’t what he wanted. We made sure to be in and out as quickly as possible. Sometimes he would cry again after we left, but we wouldn’t run right back in. We would wait a few minutes because he often would fall asleep on his own. I think the bottom line is letting your baby to know that you are there so that he feels safe, but don’t spend the entire night in their room. Unless your own sleep isn’t a priority. White noise was a life saver for nights when my baby would not settle. It also worked well if there was a lot of commotion in the house. The white noise helped drown some of that out. We used the Conair White Noise machine. It has many settings on it, however we only used about 3 of them. We tried a cd with instrumental music/lullaby music as well. This worked from time to time, but I feel white noise worked best. Establishing good sleep habits at a young age plays an important role in development. Babies and children need anywhere from 10-12+ hours sleep in a 24 hour period, depending on their age. You are probably wondering why getting a certain number of hours of sleep is so important other than not being tired the next day. And we know a tired baby equals a cranky baby which leads to unhappy parents! I specifically want to talk about language development and sleep. This becomes more important after the age of 1, but this is why establishing good sleep habits at a young age is important. It will be much harder to get an older child to sleep well if they never slept well as a baby. This is when sleep and brain development are the most intricately related. Many studies have been done on this topic. A 2013 study in the British Medical Journal (Mellennium Cohort Study) and a Canadian study from 2008 revealed that children who had inconsistent bedtimes and slept less than 10 hours a night prior to the age of 3 were negatively affected in the areas of language, reading and math skills. In both of these studies, these children continued to have difficulties in these areas after the age of 3 even when sleep improved. Other studies have also shown the negative impacts of lack of sleep in brain development in children ages 5-12. Learning a language is hard work. If your baby or toddler isn’t getting enough sleep or has irregular sleep patterns, there is a good chance his language development can be affected. 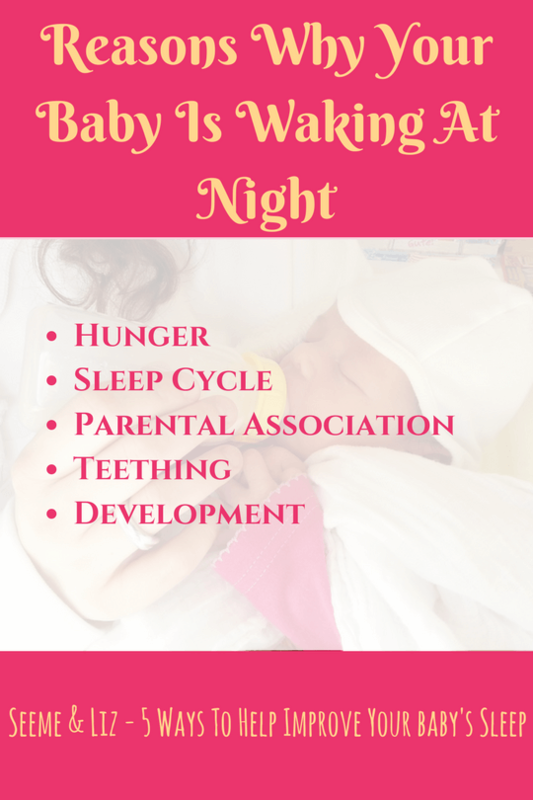 If you start with some kind of expectations around sleep, more specifically “bedtime” in your baby’s first month of life, I am sure that it will be easier getting your little one to sleep and stay asleep as a toddler. Remember we all need a good night sleep! Both you and your baby. 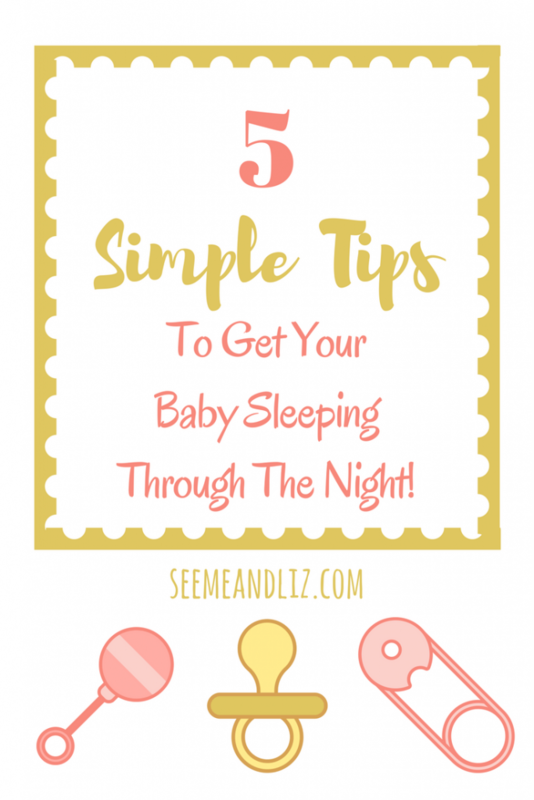 Therefore, it is very important to combat your baby’s sleep problems before they even start! If you are really struggling, there are sleep consultants and sleep doula’s available (for a fee) that can work with you and your baby on a 1:1 basis (online or in person) to set up a personalized sleep plan for you. How does your baby sleep? Have you ever used a sleep consultant? NOTE: A few readers have commented that they found the e-book “How To Teach A Baby To Fall Asleep Alone” by Susan Urban helpful. Click here if you are interested in this book – it’s less than $5, so probably money well spent! My son was the worst sleeper in the history of babies! I needed to rock him to sleep and feed him at night a few times. We co-sleep for 9 months. I was googling the internet and I saw a lot of people talking good things about the HWL method from ebook “How to teach a baby to fall asleep alone” by Susan Urban. I was tired and didn’t know what to do so I decided to try it. After a very short time, it was 2 or 3 days he started to fall asleep on his own in his crib without any rocking or cuddling. I was able to put him in his crib and leave – how awesome is that 🙂 We also got rid of night feedings. Every parent should read this ebook. Only a dozen or so pages and such great results! 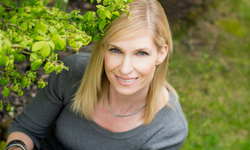 I haven’t heard of the HWL method Janine but I will for sure check it out. I’m happy to hear that you focused on getting your son to become a good sleeper and found a method that worked for you. How old is he now? That is great Janine! I’m so happy to hear this. I wish I had this book prior to baby girl! Should be on every baby registry!!! Real advice… REALLLL advice!!! I have two beautiful children, but I had such hard time with them when they were babies:) Because I was breastfeeding, I couldn’t find the strength to make them fall sleep in their bed. I was too tired. However, they were waking up every three hours to eat, and I remember being so exhausted at that time. Today they have grown up, and they sleep well! Anyway, my sister gave birth a few months ago, and she just told me that she had hired someone to help her with her baby’s sleeping problem. I will show her this article. I am sure she will find it very useful. Sorry to hear that your kids had difficulty sleeping when they were babies. Sounds like your sister did the right thing in finding someone to help with her little ones sleep problems. The sooner a baby learns to sleep well the better! My daughter is four months old. She sleeps like a rock all night! This would have been a great read two months ago though! I was surprised by the fact that changes in the sleep cycle can startle babies awake. I never thought about that! I have a feeling I will be revisiting this site soon though! Jane is starting to drool a lot. That’s a sign of teething, right? I strongly believe that swaddling works for most babies. Not Jane though. She will always kick and struggle to get free. My goodness she even stretched out in the womb! Maybe my next baby will be a snuggler. Wishing you all a full nights sleep! Congrats on having a great sleeper! And thanks for taking the time to look around the site and leave me a few comments. Keep in mind many babies go through sleep regressions. But hopefully you will be one of the lucky parents. We lucked out with our daughter. She slept amazingly well from about 3 months on. And now at 9 years old she is still a great sleeper. Her brother is a different story. 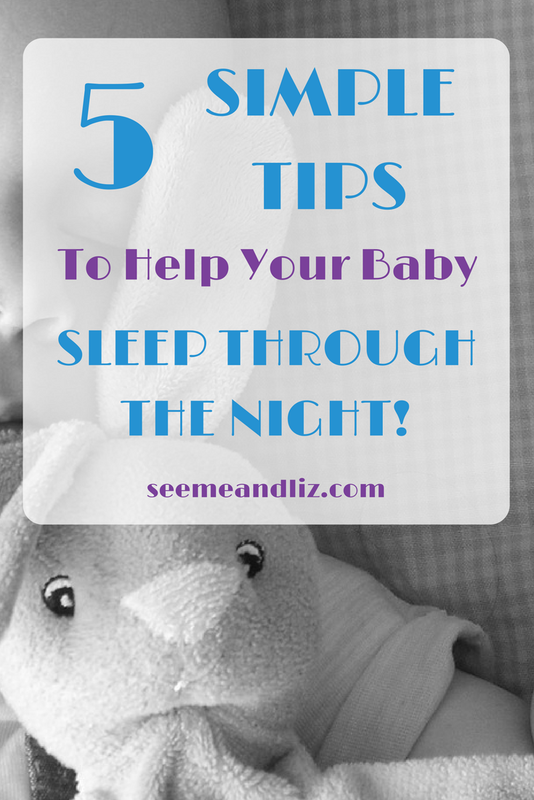 But if your daughter does go through a sleep regression at any point, keep these tips in mind. Do you have Jane in a sleep sack? It’s a good alternative to a swaddle and baby is still nice and warm and you don’t have to worry about her getting smothered by blankets. Yes, lots of drooling is often a sign of teething. As is red cheeks and fussiness. You may notice a disruption in her sleep while she is teething. But it shouldn’t last too long. Hi Tanya, I definitely agree with the swaddling. I also let her use a pacifier too in the early months. Following some of these tips can be difficult for sure. I never got the hang of putting my daughter down sleepy and letting her fall asleep. I always ended up letting her fall asleep properly with a bottle then transferring her to the crib. I even use the same method up til now and she’s almost 2! At this rate I might be doing that til she’s 5. lol. I know its not the ideal thing to do but it’s hard to change. Thank you for your comment. These are tips that worked for me and my 2 children, however, I am sure they can help others as well. I know that they won’t work for everyone. I hope that this post shows parents how important sleep really is in the first few years of life. 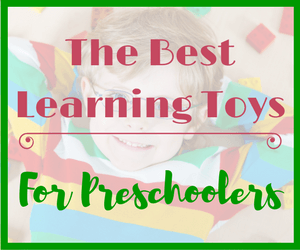 When I was practicing as a speech therapist little ones would come in yawning and not able to focus. I would ask the parents about their child’s sleep routine and often they wouldn’t have one. Some children (ages 2-4) would be going to bed after 9pm and waking throughout the night. Although a parent may get used to this, it really can be detrimental to the child. As a future father I can find a certain level of appreciation for the info dished out here. I’m definitely that much more prepared for the day me and beautiful wife get that chance to nuture life. Keep up the good work I look forward to hearing from you soon. It really is hard to prepare for a baby as they are all different. I know when I was pregnant with my first I had a list of things that I said I would and would not do. Some of those ideas were thrown out the window in the first month, but others I managed to accomplish. I know many parents struggle with their baby’s sleep problems, so I hope that some of my suggestions can help even a few people out there. These are some great tips. I know that as an adult I need to get the best sleep I can to function properly. It is clear that it is even more important for babies and children who are growing and developing. I like the flexible bedtime idea and think I might implement a few of the routine things I will do before bed. Thanks for sharing! Thanks Sarah. 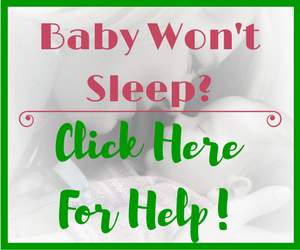 I am glad that you found the tips on how to help babies with sleep problems useful. I think for us having a flexible bedtime routine was a lifesaver. Nice post Tanya, wish I had read it when my children were babies. I will certainly pass your tips on to my daughter and thanks for the great insight. Thank you Mark! I am glad that you will be passing on these tips to your daughter. I really enjoyed reading through your article on how to get a baby to sleep. My kids are now adults, but it brought back from joyful memories of when they were little and the techniques I used when they were that age. I also swore by swaddling. It really helped to relax my children when they were babies. I would also use the baby sling and “wore” by baby around the house and while out doing errands. And when it was nighttime, I could transfer them easily from the sling to a swaddling position for nighttime sleeping. Thank you for the lovely article and all the beautiful memories it brought back. Thanks for your comment Stephanie. I am glad that this post was able to bring some wonderful memories for you. It doesn’t sound like you encountered the sleep problems with your children that many parents go through.